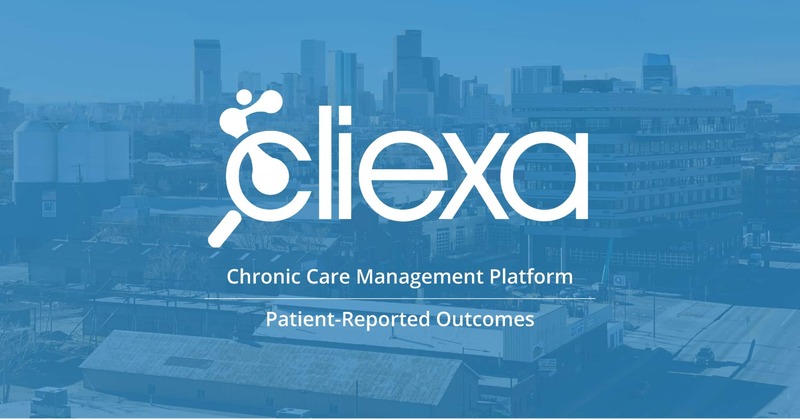 About Us: How does cliexa provide chronic care management services? cliexa is a leading provider of chronic care management products and services that enable patients to track their chronic disease activity with clinically-proven and scientifically-tested scoring models. We partner with our clients to bridge the gap with patients and clinicians to ensure the highest quality of care in the most efficient manner possible. cliexa provides specialized platforms for varying chronic care conditions to better suit each patient in their journey towards an improved lifestyle. Chronic care management (CCM) is the management of a continuous health problem that can often be mediated with proper treatment and tracking by the patient and clinician relationship through non face-to-face interactions. Utilizing CCM, concrete data and history of the patient is easily accessible for clinical use. This is often covered by Medicare reimbursements for patients with two or more chronic conditions, serving as a simple solution for improving the quality of life for both parties. Learn more about chronic care management. How does cliexa provide chronic care management? cliexa’s platform enables physicians and hospitals to fully leverage patient-reported data to improve clinical care and outcomes, while maximizing reimbursement. Utilizing Medicare’s reimbursements, cliexa enables patients and providers to save time and money in their treatment plans to streamline care through daily assessments and customizable reports that enable you to track your treatment progress with easy to read diagrams and graphs, leading to an efficient and improved chronic care process for both parties. Why does my doctor want me to be enrolled in chronic care management? While chronic care management is beneficial to everyone involved, it can be especially helpful if you are being treated for multiple chronic conditions. Since you may be seeing multiple doctors and receiving multiple medications, it is important to track all of this data to assess how certain medication could be leading to complications (which are simultaneously tracked daily). This process provides yourself and your doctors with the most information on your care treatment plan at the touch of a finger, simplifying the chronic care treatment process. Medicare reimburses roughly $42/patient (varying by state and region) as long as there has been a minimum of 20 minutes of non face-to-face interaction/assessment with a patient with 2+ chronic conditions. This provides a high potential to increase clinical and patient savings through the active involvement of our chronic care management platform. Our clients primarily include providers ranging from primary care to specialized clinics. Why is patient reported data important? cliexa remote monitoring platforms assist providers in making more informed decisions about treatment plans and enable them to respond more quickly to new data so their patients will have fewer complications or side effects. Please see our Remote Patient Monitoring solutions page for more information. What does cliexa offer me? cliexa provides you with a platform to track your chronic care symptoms and treatment progress at the tip of your fingers. Managing the complications and medications is easy to input into our mobile applications and provides a method of tracking the effects of chronic pain. What does cliexa offer me and my practice? cliexa provides clinicians and private practices the opportunity to integrate the cliexa platform into your practice. This allows the practice to significantly cut down on time spent by patients and physicians filling out forms and scoring assessments while taking advantage of Medicare reimbursements in chronic care management to save both money and time for everyone. The applications and platform are easily customized to address specific requirements of chronic care management and reimbursement, while also removing financial and IT-integration barriers. Learn more about our solution. The benefits for clinics to having cliexa as a chronic care management platform can be broken down to the acronym, QWILT. Quality of Care, Workflow, Income, Liability, Time with Patients. What are the reimbursement models that cliexa helps? cliexa assists in the following reimbursement models that can be chosen from to maximize reimbursement in your clinic. How do you know which reimbursements we are not maximizing in our clinic? Our Coding and Compliance Specialist will provide an audit on your workflows to address and provide this information, so we can maximize potential reimbursements that you see best suits your needs as a provider. Can cliexa help with revenue cycle management? For revenue cycle management, providers can submit claims and bills to the billing management that works with payors to get claims covered (CPT Codes) to be reimbursed. cliexa streamlines this during the intake process when patients take assessments by developing an output to identify the corresponding CPT codes that we push to EMR. MIPs reporting is also covered, where we can assist in providing up to 15% back from CMS. The final step in this process is through our specialist that can come in and identify the CPT codes that correspond to the clinic to maximize reimbursements. Our assessment scoring allows doctors to identify the treatment guidelines and justify the claims the clinic is making, cutting the time spent and ensuring accuracy. What if I want to use specific assessments that are not in the platform? We provide a wide range of assessments that are in our library. However, if we do not currently have access to an assessment, we will provide and customize it accordingly to your needs. To learn more about our customizable assessments, please see our solution here. Are the assessments clinically validated? The assessments we provide are clinically validated and licensed to be implemented digitally into our platform, serving as an effective way to assess disease activity in clinics. Implementation typically takes 30 days to fully integrate with your existing system and employees. Do I need to have an IT team to implement cliexa? Technically you do not need an existing IT team to implement cliexa into your system since we will provide a team. However, if you wish to use your IT team to ensure fluidity, we can work with your existing IT team.